Alfred “Al” Clyde Snyder, age 82, of Seaford, DE passed away on Sunday, June 24, 2018 at home. A native of Baltimore, Al was born to the late Clyde A. and Elizabeth Bowers Snyder. An avid Ravens and Orioles fan, Al enjoyed spending time with his family, working in his yard and playing poker with his friends at the Nanticoke Senior Center. He was also a member of the Seaford Moose Family Center and a charter member of the Seaford Elks Lodge. Al will be lovingly remembered by his wife of 58 years, Rose Damizia Snyder, his children, Lisa Fensick (Ronald), Pamela Davis and Julie Karcher, his daughter who preceded him in death. He will also be sadly missed by his 5 grandchildren, Scott T(Courtney) Thomas-Fensick, Jason keim, Jenna Elliott=Fensick, Lindsey Snyder, Taylor Davis and his great-granddaughter, Piper Rose Thomas, 3 brothers, Clyde Snyder, Earl Snyder and William Snyder and 2 sisters, Elaine Claar and Dolly Sewell. 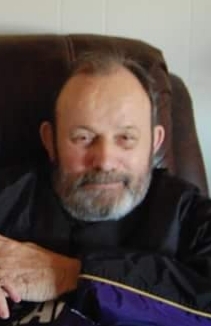 Graveside services will be on Monday, July 2nd at Noon at Blades Cemetery in Blades, DE with Father Clement of Our Lady of Lourdes Church officiating. Those who desire may make a memorial donation in memory of Al to Delaware Hospice www.delawarehospice.ocr/donate-now/, Seaford volunteer Fire Department, Att: Treasurer, P O Box 87, Seaford, DE 19973 or Blades Volunteer Fire Department, www.blades71.com/donate.cfm.